LBC aims to be the total solutions provider of choice professionally and technologically equipped to serve Filipino families and businesses entities across the globe. LBC Express, Inc. is the leading Global Filipino Company in the business of Express Courier and Money Remittance with 1,000 branches nationwide and over 100 branches worldwide. 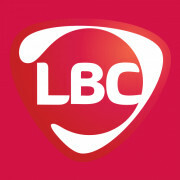 LBC has been linking and bridging Global Filipino for more than 60 years now through total customer service experience. Known as the “Hari ng Padala”, LBC pioneered several service innovations like the “Balikbayan box” in the 1980s that connected the Global Filipino with their families in the country. Today, LBC has delivered more than 3 million “Balikbayan Boxes” since 1985.